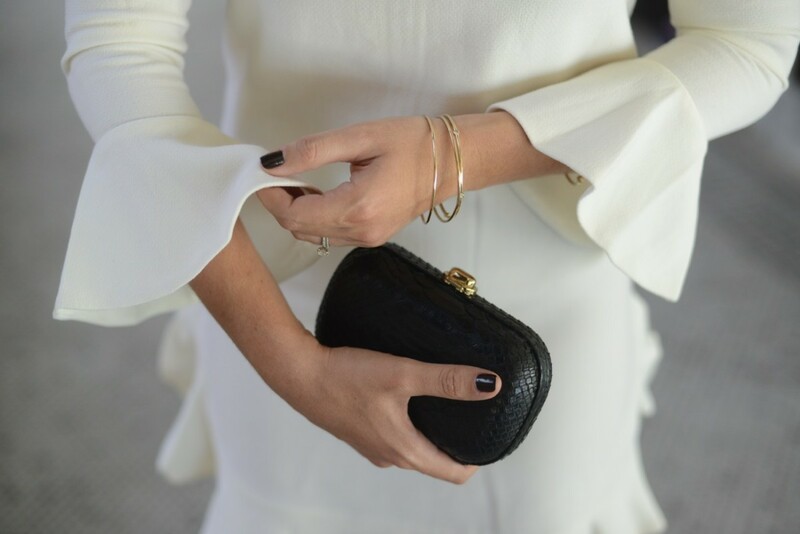 Though I typically favor crisp lines and tailored pieces, I have a soft spot for ruffles. 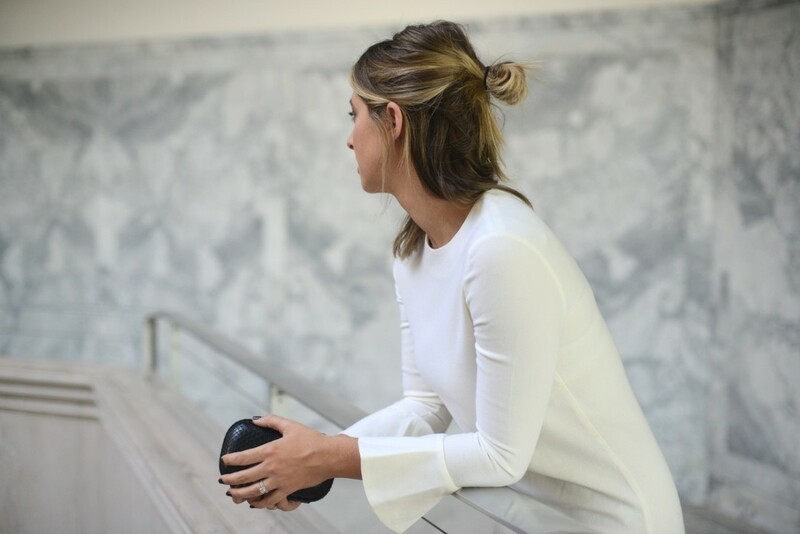 They can be tough to do without looking like a seven-year-old, but this white minidress hits the mark. It&apos;s a more structured fabric that feels winter appropriate (at least for Los Angeles) and grounds the ruffled hem and bell sleeves. I went with a blue-gray smoky eye and matte pink lip as a nod to the retro feel of the dress.